Can I copy your text or images onto my website? Although this has been done frequently, it is a violation of U.S. federal copyright laws. All of the material on this site is copyrighted and labeled as such. Quoting this site should be done properly by spelling my name correctly and linking to the page that is quoted. Why won’t you review or post my product or website or book? This site does not use reviews to generate revenue because I’ve chosen to maintain full editorial control. There will never be any monetary influence upon my writing. Can I be a guest blogger? Maybe. We’ve had several patients or doctors write posts and I encourage you so send me your ideas via email. Please be patient. How can I get a little photo for my avatar? The rawarrior site uses Gravatars you easily upload! Click here. Where is your Blogroll? I have not participated in link exchanges. However, meaningful links are used in several natural ways: I quote other sites’ in posts with appropriate links, people who submit onset stories or RA Kitchen recipes are linked to, blog carnival submissions are linked, and comments are linked to the commenter’s site. Why do you talk about football, NASA, and God? I write as the person I am. Maybe it is part of the allure of RAwarrior.com that I don’t have to remove who I am from what I write. Extensive information for the newly diagnosed? Use the RA Map! What’s Kelly’s email address? Type my first name @ rawarrior. com. How can I submit an onset story? That’s all explained on the main RA Story page. How can I see all the posts? All blog posts can be seen on the new Archives Page – click here. (Or SEE ALL on the top menu.) It’s easy to click Expand All and see every title. Then, you can also search the titles with “control Find” after they are open. I do this several times a day to find something for a reader. What’s the Tag’s List for? All posts are carefully tagged. Clicking on a topic in the Tags list will bring you a list of articles on this site which discuss the particular topic. Where’s the disclaimer? Disclaimer link is in the footer at the bottom of every page. I want to get a t-shirt but I don’t see the one I want. The t-shirt store carries the products that they choose. I create our items by creating designs and matching them with t-shirts, etc. that are available, but you can often choose to place my design on other items or sizes. If you have a special need for a design or style that you cannot find, please email me and I’ll create it for you if I can. Please be patient. Do you have a factsheet about RA that I can print? YES – click here. A little button to put on a blog or website to spread the simple facts on RA? Great idea! I don’t know how to comment. Below every Blog Post and many of the Menu Pages, there is a box. Type in the box. Your email is required but no one can see it except me. There’s no need for your last name if you don’t want to use it. Why didn’t my comment show up? The comments are moderated which means that either me or one of my teenagers reads them before they are posted to check for spam or abusive speech. Every comment is posted as quickly as possible. When I subscribed to comments, they weren’t sent to me. Be careful that you sign up to receive comment replies using an email address. If you sign in with Twitter, Facebook, or Google, then WordPress kicks it over to my email. I cannot access this to correct it for readers; I’ve spent a lot of time trying. How do I follow you on Twitter? Get a free Twitter account. Click follow on my Twitter page. Write one Tweet to me by adding @rawarrior to a Tweet so I can see you and follow back right away. How can I email someone a post? There is a button you can use below every article. Just fill in the form. Which medicine should I take? I cannot give medical advice for two reasons: I don’t know how and I’d get in trouble. Moreover, I believe that you should be the one to make this decision. There is a lot of information on this site that might help you with it. Can I use your name or logo to raise funds for my cause? No. I have not endorsed any group or organization and I do not want my name used to raise funds for groups of which I’m not a part. Why haven’t you joined my Facebook group? I get a lot of requests to join groups and I did join some. However, when I join a group, it is not as the owner of this site, but as an individual. Joining lots of groups on Facebook exposes my personal profile and further erodes the privacy I have left. Why haven’t you joined my Cause? I work full time on this cause. There are other good causes, but one person obviously cannot be effective in all of them. I believe I’m doing the best that I can with the resources God gives me. Why haven’t you sponsored my walk or fundraiser? I do get a lot of requests. I’ve allowed them to be posted on the RAwarrior Facebook wall. But I have invested too much in this cause to spread myself any thinner. Why don’t you try my RA cure? RA is not caused by any misbehavior or deficiency on the part of the patient. The exercise and diet plans that I’m often sent are not relevant to RA diagnosis or disease progression. Besides, my treatment decisions are my own. You must not be very sick if you can blog every day… I’ve occasionally encountered versions of this question from the beginning. It doesn’t sound like an honest question to me. My health is not an open book, but everything that I’ve written on the blog is true and I stand by it. How many kids do you have? Five. I am blessed that I had flares but no diagnosis for many years allowing me to raise my family for a while. I wouldn’t want to give any of them back. What’s your favorite color? Red. And yellow. And brown. And blue. I have a very color-full life. Why don’t you have a dog? I do miss my dog and I’m still an animal lover. Some people are upset that I don’t have another dog yet. Most days, I need help to care for myself and my five ten! year old. What kind of degree do you have? Psychology. How do you learn about what you write? I interview people and read. A lot. And readers send me articles: THANKS. And most of all, I listen to tens of thousands of patients and believe them. Oh wait – I forgot pink! 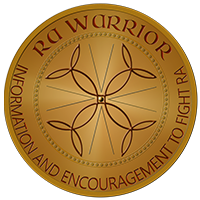 Pray for my wife Jan Horn a supporter of RA Warrior. She just had emergency surgery due to complications from her JRA and the Meds caused colon problems. 2ft. of her colon was removed along with appendix. She suffered 11 months with this problem and not until her colon literally rotted open was it discovered by the emergency room doctor. Other Doctors even checked her stomach in the past when she came in with the extreme pain and was always blown off because it was her RA. She would be dead today if exploritory surgery wasn’t done by some great Doctors at Springhill Memorial. The only ones who looked further into the pain! Your wife’s story sounds so familiar! When I was 30, (I’m 50 now) I had the same type of surgery and had a foot of my colon removed. I had a colostomy, but had it repaired a year later. I’ve had RA since I was 19. I will keep your wife (and you!) in my thoughts and prayers. It’s a tough road, but it sounds like she has a wonderful, caring husband to help her get through it. I know you do not have time at the moment but when you do can you tell me your wife’s symptoms. I have been going to a Dr office and complaining for stomach pains and they have just started looking at them but I don’t think they are moving very quickly. If you could give me a little more details that would be great. Im so very sorry to hear of your wife’s plight! 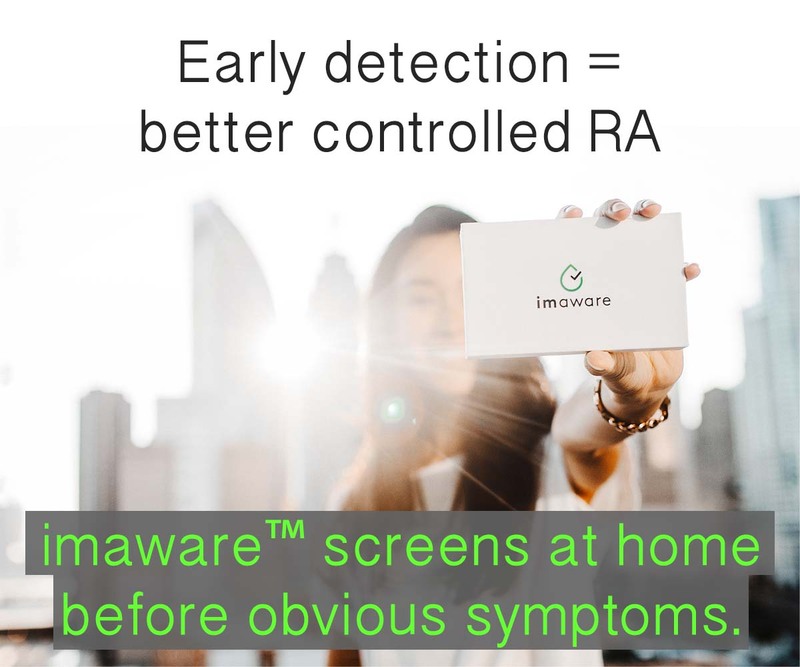 It is a terrible and mystifying disease RA…but thankfully to some great and knowledgeable Dr.s who take the time , we have an outcome like your wife’s did! JAN, I pray you will get better, the same thing happened to my husband except not do to meds or RA. I have the RA. and that is scarry. I know god is with you and your family! I will definitely send prayer and positive thoughts not only for Jan but for Mike. I am sad it came down to this but glad there was one doctor who looked past the RA. *hugs* to everyone. Thank you for sharing your story with us, Mike. I am so sorry she has suffered so intensely for so very long. I know she will feel like a new woman in a couple of weeks once she gets past the surgery and healing begins. She is a very lucky woman to have such a thoughtful husband. You are both in my thoughts and prayers! It’s so sad when you get “labled” RA and no one really looks farther. Glad that an ER Doc saw past the RA lable and investigated. Thoughts and prayers to both of you. I was just blown off by my GI specialist yesterday. I have had symptoms of IBD for 4 years now. Bloating, pain, blood et. al… He looked at me when I asked him if he has seen my symptoms before and told me to keep taking a cholesteral lowering drug that he has found beneficial for people who he doesn’t know what is wrong with them and/or don’t have any test results that he can blame on an easy diagnosis. Jan’s story frightens me but also empowers me to act as my own advocate. Thank you for sharing with us and my prayers are with the two of you. Sending healing thoughts to you both. Jan, it’s so good to hear from you! Lots of folks were concerned. Glad you are well enough to type. I want to know how one un-subscribes from this site. There is no place to allow for this. I do not want to receive e mails every day. Thought it would be once in a while but good luck with your task. Just take me off your database please. I have not sent out an email in about 9 months. The only thing I can guess is that you subsribed to a feed produced by Google which emails you new posts when they go up, about 3 times per week (actually only 6 times last month). I have no access to your feeds or to your Google account. You’d have to un-subsribe to the feed yourself. I do not have a database. Question that I don’t see here – I can’t remember what I did to “sign up” for your site, but at the time, I did not choose to put a pic with my name. I now want to do that instead of having that generic quilt square. How do I do this? I do not see a regular “sign in” (one that doesn’t use facebook or twitter account), and I do not see a link to “my account” or “my login” etc…. Hi I read your story in the WebMD magazine and have been using your sight since. Like many people it took docs a lot of years to diagnose me. I had symptoms for years and just ignored them until it got too much. I just wanted to say thanks for what you have come up with here. It is very helpful. Welcome, Julie. I”m so glad you are diagnosed finally. I actually have another friend named Julie Robbins! A local store told me they have 100 Kelly Youngs – small world! 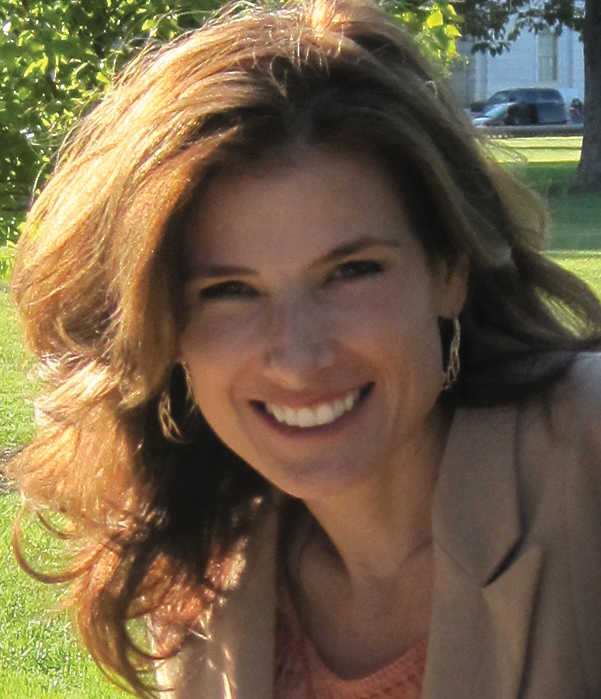 Kelly…..enjoy reading your blog, as always! So sorry to hear about your ‘incident’ in Florida and hope this somehow has a good ending? In reading today’s blog, about Rituxan, I find this disease never ceases to amaze me. What works for one patient can be completely different from another. I, too, tried Rituxan, and had no luck at all. The six hour infusion was long to say the least. On the other hand, I’ve been on Actemra now almost since FDA approval. While it didn’t work in the beginning, we upped to dose and I have to say I’m overjoyed. Did I mention…golf?! Not that I’m a country clubber or anything, but the game requires some pretty good hands to wrap around the club and a decent swing (knees, ankles, fee) to play and I’m happy to say I can play. My first time out on the course after three years brought tears to my eyes and brought me to my knees in thanks, literally. Wishing you all the best and hope to hear good news from you with Rituxan!! I first want to thank you again for all your work you do on this site for others.It’s “healing” effect feeling for me is priceless. Once again after a rough day, I came here and felt better. My question is…Is there a place on the site where people can throw up a topic or rant to get other posters feedback? For instance, yesterday I took my daughter and her friend to a strawberry festival. There were hundreds of people so parking was and issue. there was a man pointing to spots to park that were acres away from where I needed to be. But there were many open spots right in front and across from the actual farmstand. I asked what about these spots? (they had no handicap signs) He said they were special. I jokingly said what, I’m not special? Ha ha. They were for people who wanted to get in and out of the stand quickly and not attend the festival.I get that. But his next statement….you can walk, everybody could use a good walk….pissed me off. #1, was he referring to my chubbyness? #2…His assumption that I could walk, because as you know, people with RA don’t look sick (grrrr). I didn’t disclose my ra to this guy because it’s none of his business. I didn’t feel like I could argue the point because of the fact I don’t have a handicap plaque. It made me think, should I get one?Do I want one? I think my reservations come from…ifI get one than it’s in stone that I have a disability. In denial much? Maybe a little. So I would like to hear other peoples views on getting handicap plates, plaques etc. Do you have one Kelly? Taking my daughter to this thing and all the walking I knew I would be doing was enough of a daunting task. But Icouldn’t say no. I say no to too many things. I wanted to go too. I can’t change peoples ignorance. I’ll leave that to you Kelly, you’re doing a great job! So Should I or shouldn’t I get one? Thanks for listening Kelly. You know first hand how it feels to be able to talk to others who know what your going through. So if such a thing doesn’t exist on your site, what do you think of having a rant page? Have a great day Kelly! Hi Jennifer. First things first: I’m sorry someone was rude to you when you were of course already pushing yourself. A place to rant more? Some people use facebook that way since many are more comfortable posting since they are already there. FB posts are mostly public to friends and family so some are less comfortable posting and mostly just read. We are opening very soon the membership for the Rheumatoid Patient Foundation at http://rheum4us.org and members there will have a forum that is more private and will have other advantages. So you might want to do that. And a rant about RA comment page is a good idea. I’ll think about that too. Thank you Kelly. I agree with all you said. I look forward to rheum4us.org. As far as facebook, I don’t talk about my RA on there. I think people can only handle so much before the feel like you’re whining or you should get over it. And I think that comes from frustration that they can’t do anything to fix the problem. Or there’s the old ” I know what you mean I have arthritis in my left knee” or add any other body part you hear. Not to dismiss their pain but many people don’t know that it is an auto immune disease and all that goes with it. Rare is the person who can just listen and empathise(sp?). I’ll check out the tags, like you said I’m sure there must be a discussion going on. Thanks again Kelly! Hi, I have RA and was wondering if anyone has Transverse Ligament problems? My ankles and fingers on both hands have beeen affected. I have tried the Azo Brace for the ankles. Wearing the brace hurts the ankles more. Any advice ?? Thanks, Linnie. I hadn’t read that yet. I’ll keep an eye out for more on that – probably at ACR this year. Is there anyone here who could testify to the efficacy on the use of omega 3 fatty acids and collagen for Rheumatoid Arthritis on relieving signs and symptoms? I just added omega 3 to my diet but I am not sure if this really helps as I am on biologics which I think do the real work on keeping the diseases activity under control. Just wondering if anyone else with RA experiences the same thing as I do. My doc always asks me if I am stiff in the morning. I am not but, as the day goes on I begin to feel stiffness. By evening, on most days, I can hardly function? By the time I get into bed EVERYTHING aches and I am very stiff. Just curious if anyone else experiences this?? I started Methotrexate almost 4 weeks ago. I haven’t been back to the doctor yet, but I am wondering. I seem to be nauseated every night after dinner, it doesn’t seem to matter what I eat can this be the Methotrexate? Also, I am having more hot flashes, I am on hormones but they have always worked for me. Help? I have been told that I don’t have R.A but do have Spondyloarthropathy ( inflamatory arthritis) – to me it seems like ” same pain different name”. I was told I had this as my tests came back seronegative. It seems to be effecting more joints each month. Does anyone else on this site have it? Do you know where I could get more info on it and possible treatments? I love your site but feel like a fraud using it as I don’t have R.A. I live in the U.K where the doctors seem quite dismissive if your arthritis is not R.A or osteoarthritis. My lovly wife has been batteling RA for two years now as well chroinc pullmonary fibrosis they feel is a effect of the methatrixate sure I butchered that word. Satuerday I admitted her with A case of phnomia that filled the remaining portions of her lungs then to finish it she has influinza b. Needless to say I am really scared. Randy, I’m so sorry to hear how rough it is for your wife right now. I pray she recovers quickly. I am wondering if you or one of your readers has any hints on dealing with people offering “miracle cures”? People frequently ask me if I have tried this or that cure. One man BOUGHT me a vitamin supplement and gave me instructions on how to use it. He is convinced this will make me well. Any suggestions on how I can gracefully extricate myself from this situation? Just wanted to say thanks for your website. It is nice to know I am not alone. Most people who know about my diagnose it just dismiss it and it gets very frustrating. Thanks. I just found this site via a Utube story about Kelly….and am so glad this is available! I’ve been battling RA for 18 years (MTX, Plaquenil, Azulfidine, Humira) and last year was taken off of MTX due to “RA Lung,” Interstitial Lung Disease, thought to be from the Methotrexate treatment (and toxicity). Now the Humira is less effective (without the MTX alongside it), and my rheumatologist suggests that I switch to Remicade. I’d like to know if anyone has developed the lung problem and is treated successfully with any RA drug. If so, what? My pulmonary dr states that the key to suppressing progression of lung problems is aggressive RA treatment, but had no specific recommendation for a suggested medication. Is there anyone with a similar problem who is taking something that helps? I don’t have ILD, but I know several of those who read and comment do. I think sometimes that’s hard to tell apart from the condition caused by medication side effects. Did the pulmonary doc confirm it’s from the meds and not from the RA? Your question shows how important it is that we make progress in caring for this disease – who can help you decide what is the best treatment for the whole disease. There are other disease modifying drugs that can be tried with the Humira – have you taken Arava? Remicade is similar to Humira, and that’s another option. I think if it were me, I’d consider an opinion from a 2nd pulmonologist in case he knows more about treating RA – it’s not rare for it to affect the lungs.